We've combined five distinct colors of carrots in one special blend for a pretty rainbow effect that is sure to be noticed at the dinner table, even by the kids. After testing hundreds of carrot varieties, we developed this easy-to-grow mix of five crispy carrots: Atomic Red, Bambino, Cosmic Purple, Lunar White and Solar Yellow. Smoothly tapered roots grow to 8" x 2" in loose soil. Carrot, Kaleidoscope Blend is rated 3.5 out of 5 by 26. Rated 5 out of 5 by reid22 from Fantastic results! This was my first year growing carrots and I was not disappointed! I grew them in a planter box on my deck and they did wonderfully. The colors are beautiful. I ended up with 27% orange, 24% white, 24% purple, 15% yellow, and 10% red. Some are quite small but I don’t mind at all. They’re perfect for tossing in a stew or salad. Rated 4 out of 5 by asauer from All purple? Bought the kaleidoscope this year but all of them were purple. Good germination, flavor etc. but was expecting other color varieties. Rated 1 out of 5 by H1974 from Germination rate extremely low My Dad raised me planting Burpee seeds, so I wish I could be a Burpee seed girl. Unfortunately I have tried these twice now, with three years in between, and their germination rate is awful. 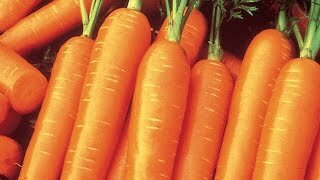 I have grown carrots from other companies in my garden with good results so it’s not the garden soil. Rated 4 out of 5 by Chadperrault from Not exactly as advertised. Results from these seeds last year were not not terrible, just not what I expected. White carrots totally dominated the mix. 30% to 40%. Many were enormous, one measured 17" in length. Purple carrots were about 20% of the mix. Most grew to about 6" to 8". Orange carrots were about 10% 6" to 8". Yellow carrots about 10% 4" to 8". Red carrots about 10% Some tiny, but most were 3" to 6". Green carrots about 10% Some were larger, but most 3" to 6". 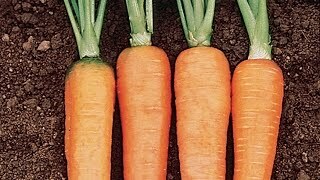 Based on what I experienced, I think it would be wise to sow with the consideration that these different carrots will grow at different rates. Thin them or spread the planting out. Or you can buy varieties separately and keep them apart in the garden, which is my approach this year. Rated 4 out of 5 by Photokitty from Needs the right soil. I gave my mom half the seeds and we planted them at the same time. Mine never got past an inch on top. My mom's on the other hand, well this is a picture of hers! She used composted topsoil, this same soil makes her look like a master gardener but she does practically nothing but plant the seeds. These carrots were all shoved to one side of the container she grew them in. So if they fail it might not be the seeds fault, these were from the same packet and none mine ever made a carrot while hers well, blossomed. The little tiny one was shoved in between the two latge ones, my mom didn't thin them at all. Rated 4 out of 5 by Sunshine92 from Easy to grow Planted in May, harvested in August. Great yield and flavor! Rated 4 out of 5 by ContainerGardenerIL from Love the mix These carrots grew great the first time I tried them two years ago. I love the mix of colors and slightly different tastes. The second year growing these ones the white carrots turned out small with thick stalks and tasted terrible, but the other ones were still good! Rated 5 out of 5 by mlnh from Beautiful and tasty mix The seeds were easy to grow, beautiful colors, taste great.